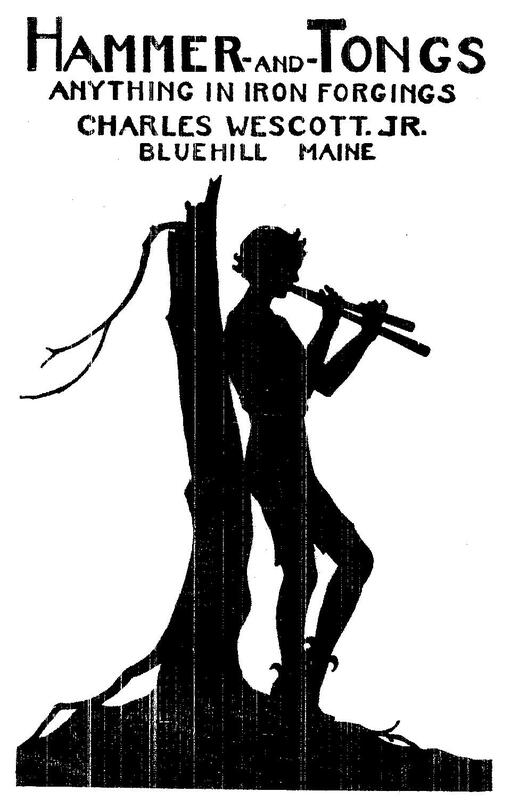 As in many New England towns, the Down East village of Blue Hill had a blacksmith shop on its Main Street. Passersby could see the blacksmith at work over his forge, making utilitarian objects. 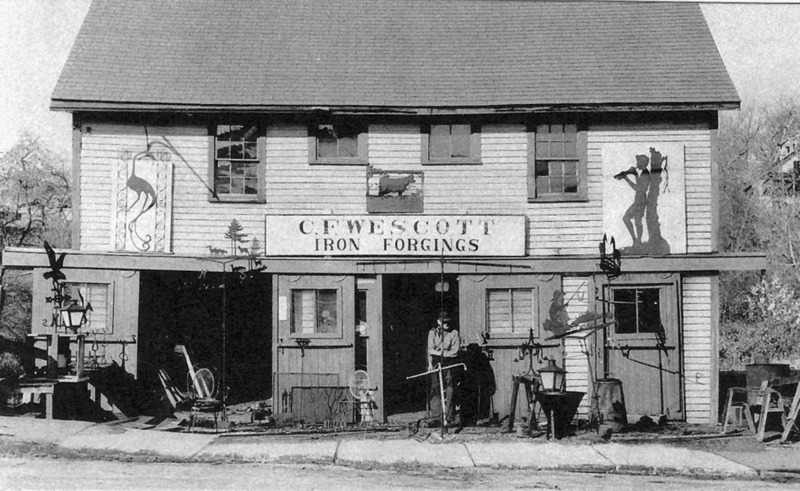 By the 1920’s, horseshoeing was perhaps not the sure profession that it once was, and the blacksmith who took over the Blue Hill forge, Charles Wescott, was an artisan. 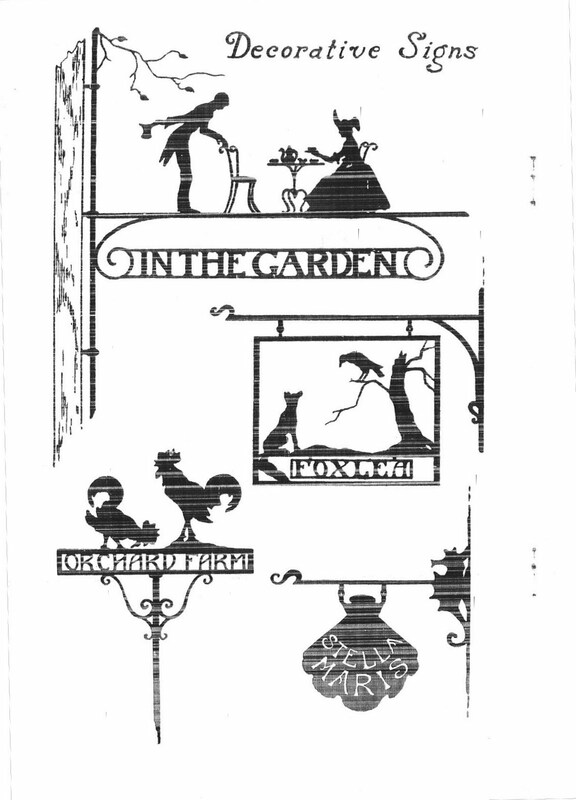 The forge, renamed Hammer & Tongs, turned out useful and decorative objects, from his own designs and those of local artists. 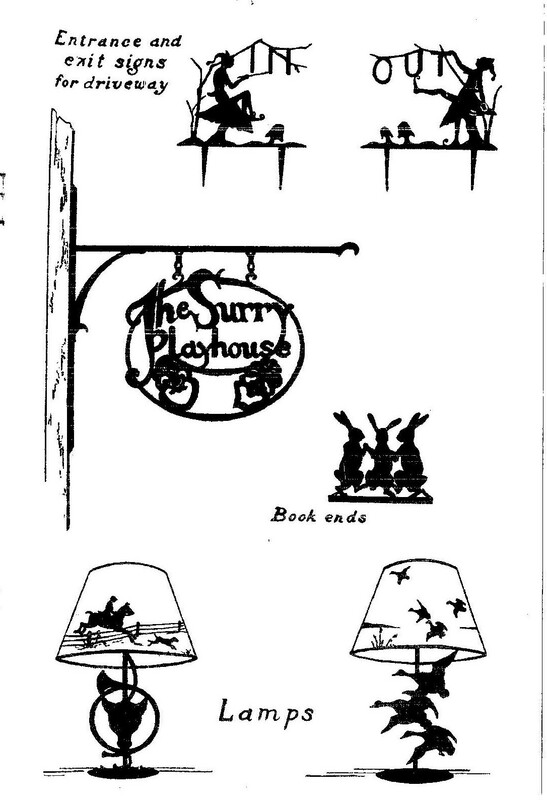 His work decorated the front of the shop, and though examples of his signs and firescreens and lamps are still to be found in the area, few ever come on the market. Mr. Wescott died in the 1960’s, and after a brief spell under other blacksmiths, the old building by the local millstream became a restaurant, ending 100 years of smithing on the site. 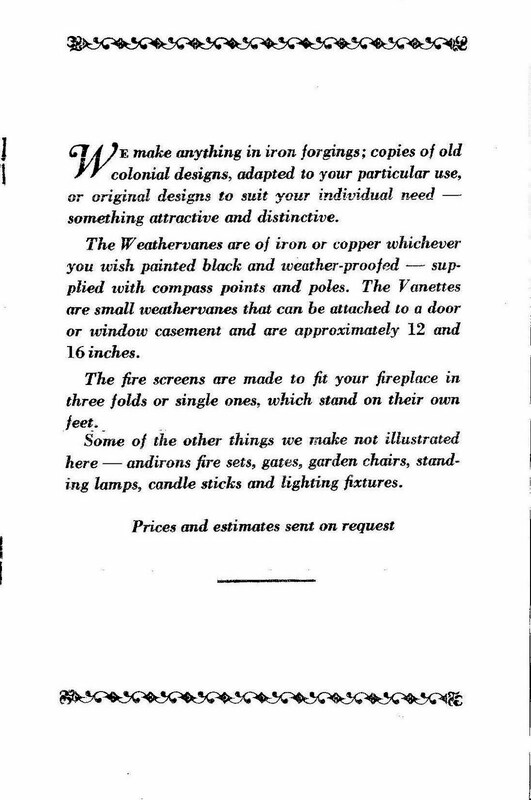 A copy of the Hammer & Tongs catalog survives. The figure of Pan with his pipes, Wescott’s trademark, was originally created for the summer estate of Mrs. Ethelbert Nevin, widow of a famed composer of the day. Wescott Forge is one of my favorite Blue Hill landmarks (after the Jonathan Fisher house, of course!) and I have photographed this interesting site many times without knowing its history. Thank you! Note to self: Do a post about the Jonathan Fisher House. Maybe smilla will contribute some photos…. 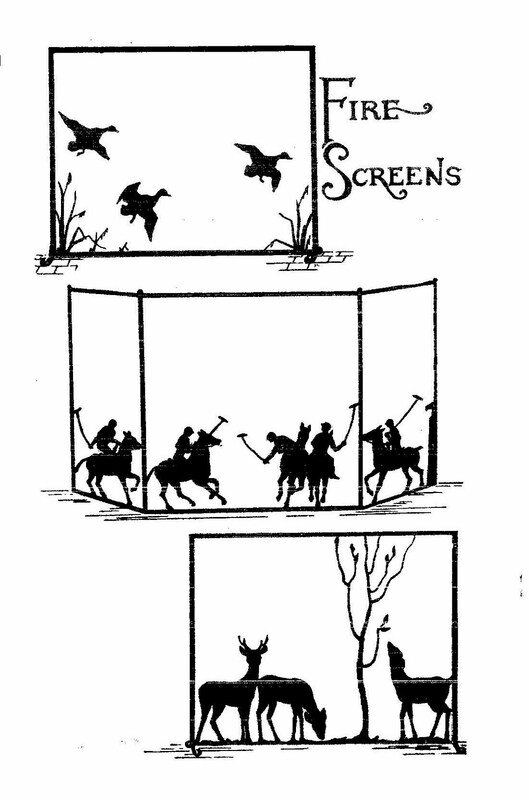 I grew up with the ducks and cattails fireplace screen in my grandmother’s house in Surry (now my parents’ house). 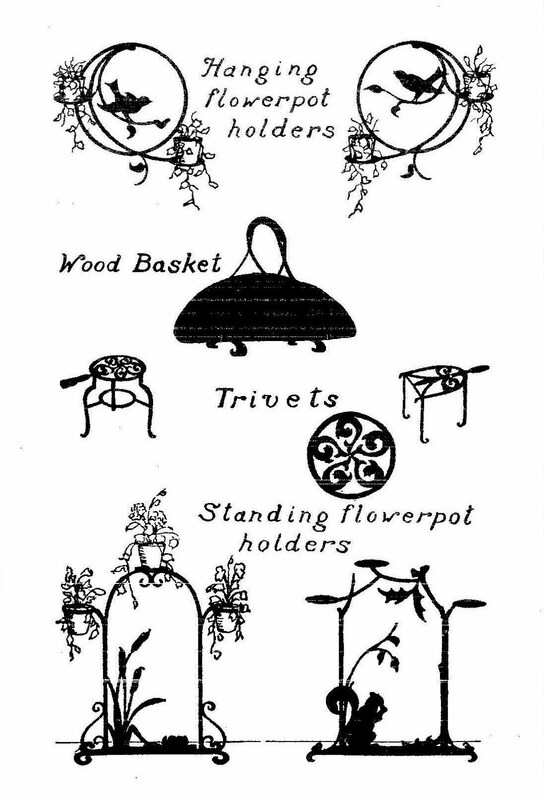 Thanks for posting these images.